I'm a complete emoji addict, so when I saw Charles Voth had made a book of Emoji Crochet, I had to have it! 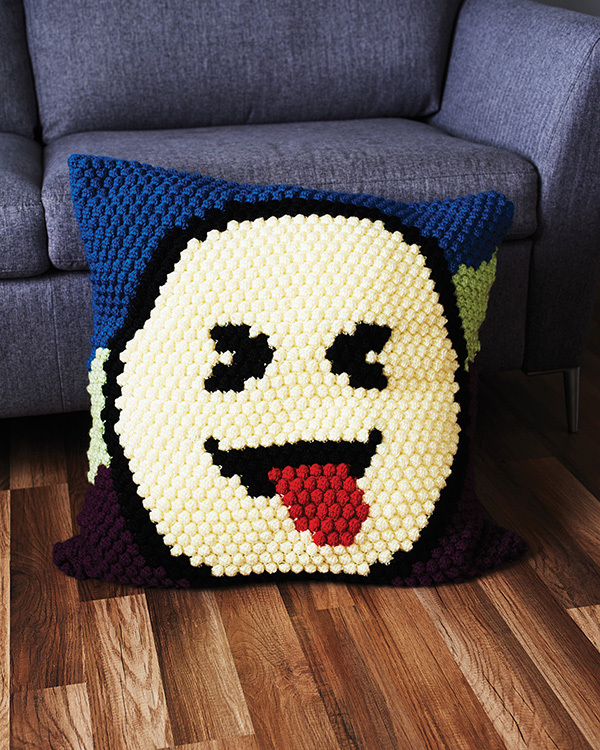 The book has lots of emoji projects for all over the house, like pillows and blankets. Charles has a great sense of humor and it really comes out in some of these designs - like the ottoman that's had just about enough of stinky feet. 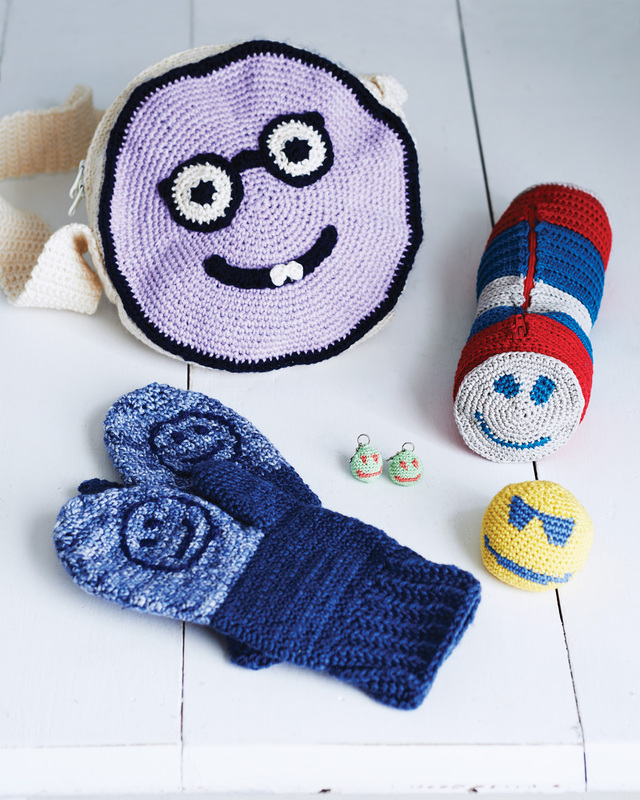 Emojis aren't just for around the house though, you can try one of the wearable designs too! There are hats, slippers, a jacket, and even earrings. Yes, earrings. 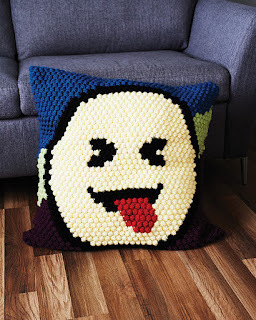 The Brainiac Bag, with little buck teeth, is one of my favorites. I really like this cute Num Num Bib pattern too. It's just the thing to train up a whole new generation of emoji lovers. 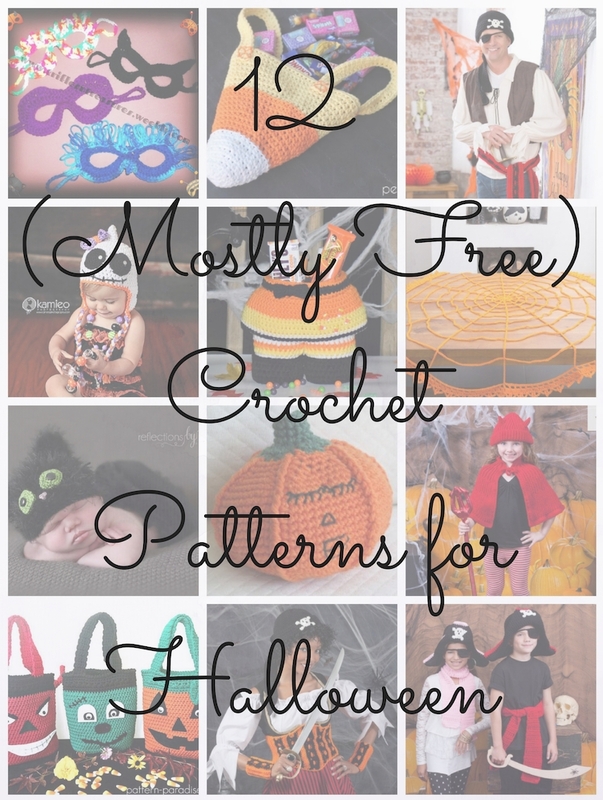 One thing that struck me is that these are not just variations of facial expressions on the same basic pattern. Instead, several different techniques are used to create the faces. 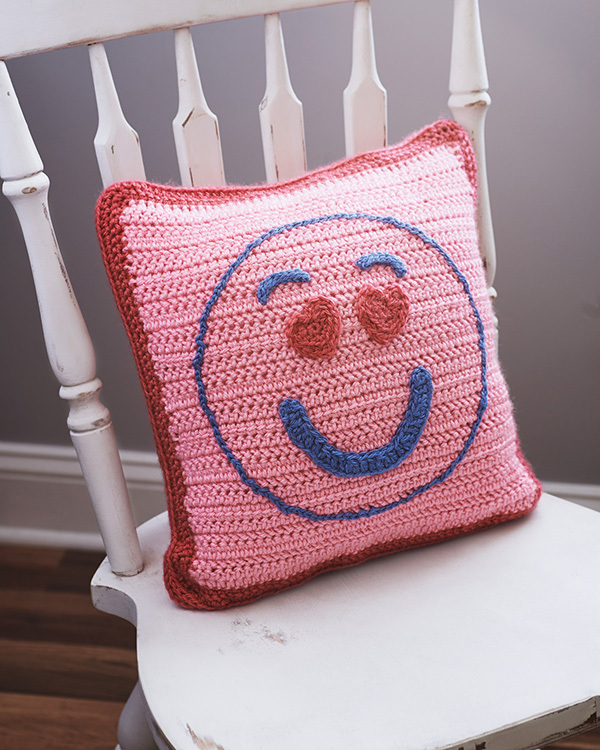 The book starts with stitch definitions and instructions, including clear diagrams, which make these techniques and patterns accessible even for new crocheters. 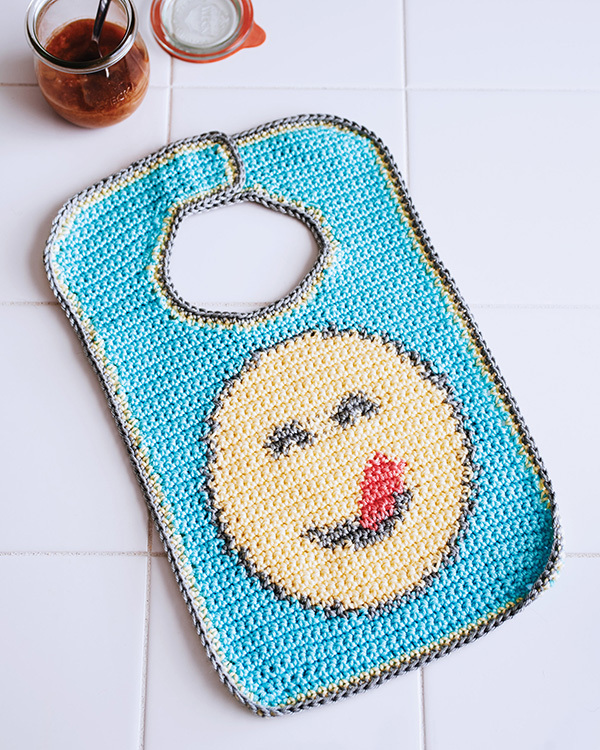 Enter to win your own copy of Emoji Crochet! This prize is generously provided by the publisher, Spring House Press. To be eligible, you must be 18 years of age or older, with a valid US shipping address and phone number. 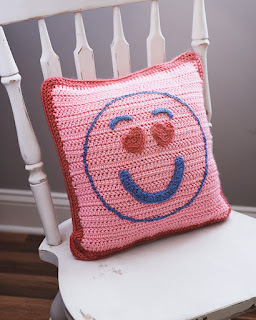 The winner will be contacted by email, and must reply to that email and provide the shipping address and phone number within 1 week in order to receive the prize. If the winner does not reply within 1 week, a new winner will be selected. The giveaway ends on September 30th. Hurry and enter below! 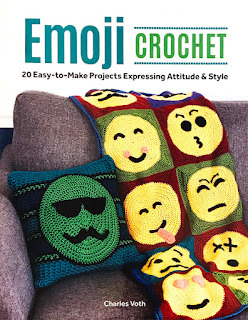 Disclaimer: A free review copy of Emoji Crochet was provided by Spring House Press. Although I accept free products for review, I do not accept additional compensation, nor do I guarantee a positive review. My reviews are based entirely on my honest opinions. 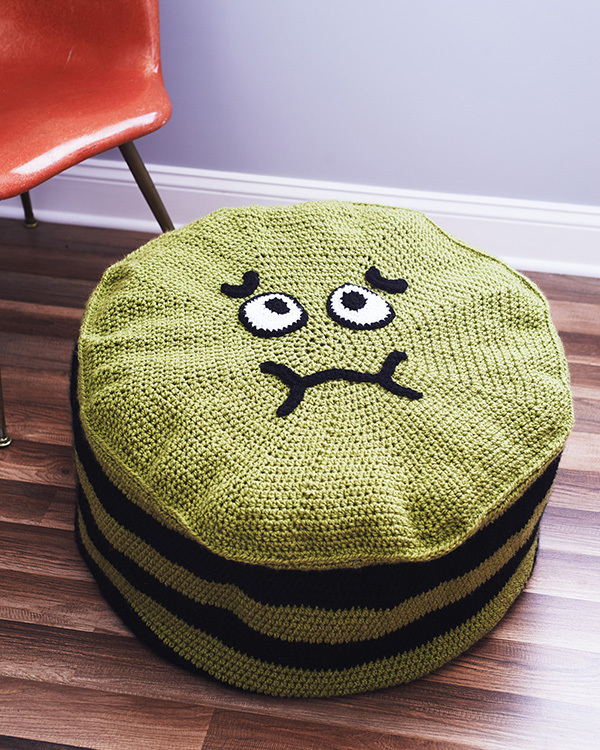 All images of copyrighted material are used with permission. This month’s roundup features 12 (mostly free) crochet patterns perfect for Halloween, including costumes for children and adults, home decor, and storage for all of those treats. Photos are used with permission of the designers. Enjoy! 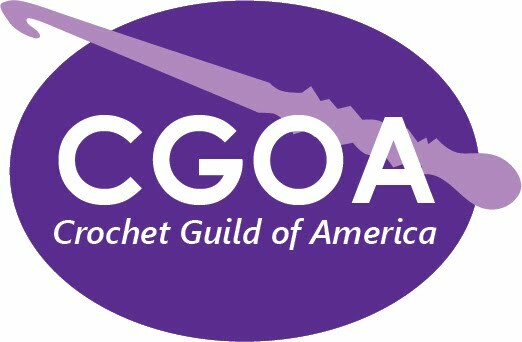 Share this roundup on your favorite social network to spread the word about the talented designers in the Crochet Guild of America!